Just in case you can’t get enough of s’mores, I’ve got another delicious twist on this camping favourite. These S’mores Ice Pops are out of this world! Imagine a rich fudge layer followed by the divine flavour of toasted marshmallow ice cream. The bottom is finished off with crushed graham crackers. Think s’mores sweetness, but cold and refreshing! I recommend the Zoku Ice Pop molds for easy removal. 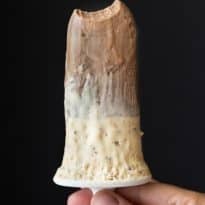 I’ve tried several other ice pop molds and have had a few recipe fails. I bought the cheap ones at Walmart and ended up having to throw them out, ice pops and all! I couldn’t get them out in one piece. They are a cinch to remove with this particular mold after running under hot water for about 30 seconds or so. 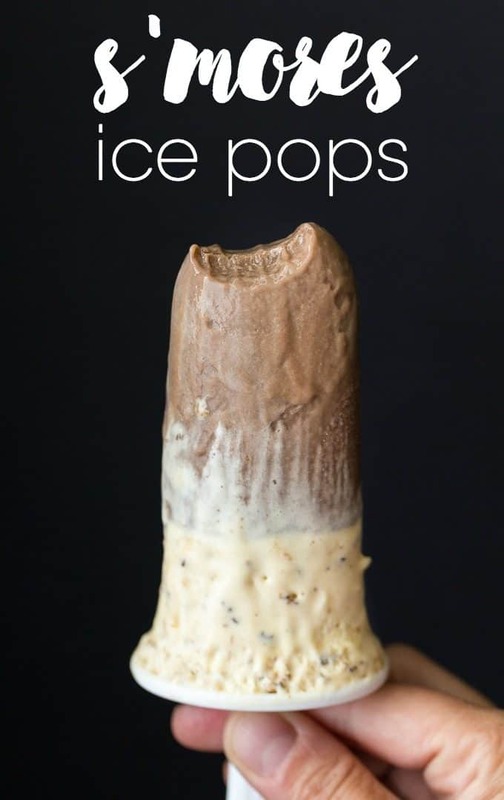 Hopefully, I’m not the only one who has had recipe fails with ice pops! One thing I want to mention about this recipe is to WATCH when you broil your marshmallows in the oven. Mine were browned in a minute. They don’t take long and will burn quickly. You might also like this S’mores Cake. What is your favourite flavour of ice pop? So creamy, rich and cold! 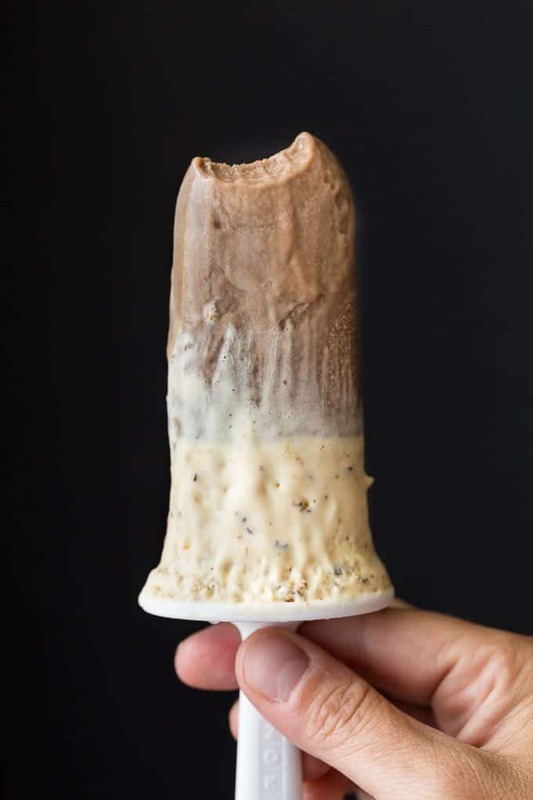 Everything you love about s’mores, but in a refreshing ice pop. Add sugar, flour and cocoa to a medium saucepan. Gradually stir in milk until smooth. Bring to a boil over medium heat and stir for 3 minutes or until thickened. Remove from heat and allow to cool for 10 to 15 minutes. Stir and pour evenly into ice pop molds about 1/2 full. Put in the freezer while you continue you work on the next step. Broil marshmallows on a foil lined baking sheet for 1 to 2 minutes until toasted. Careful: they burn QUICKLY so you need to babysit the oven. Quickly add the toasted marshmallows to the cream mixture and stir. Take ice pops molds from the freezer and fill up the remaining space with the toasted marshmallow mixture. Sprinkle graham crackers on top and put in the freezer for at least 6 hours or overnight.